Okay, I'm a little jealous...but also very inspired. 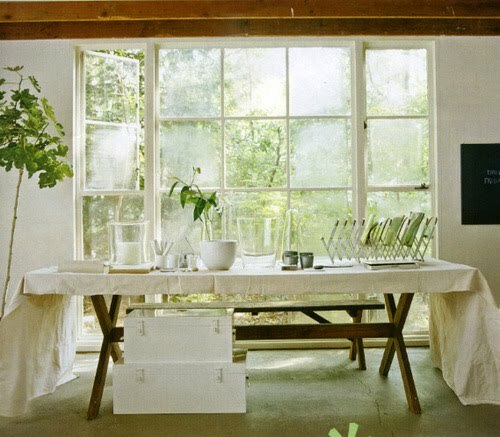 I'm pretty sure that giant window would be welcome in any room of my house, let alone my garage. 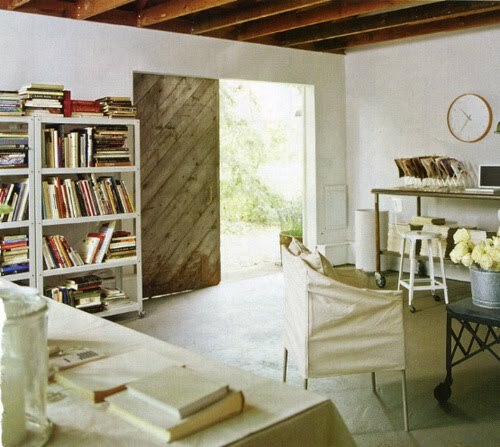 Love those sliding doors, too. how sweet! i absolutely love it. how beautiful! that door is simply amazing! I love the doors. Such a great space! oh man alli! i would love a place like that!! she's a lucky girl...awesome of you to share. i'd be tempted to live right in it! oh my ...I really love this idea. Such a beautiful set up! open and fresh! The door is my favorite. Oh wow! It's such a gorgeous place. It's a lucky lady that gets to live there. Love that giant window! So pretty. OH why oh why isn't that mine? 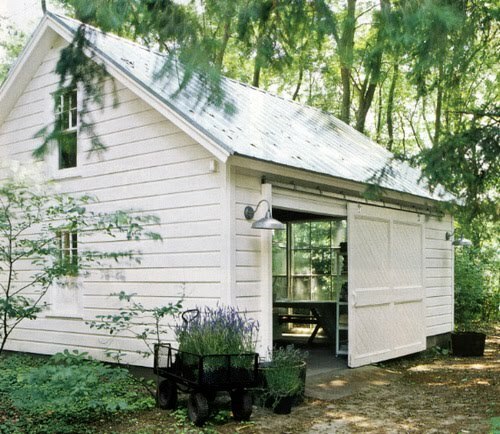 And that is her garage...I could live there and be happy! this is so gorgeous... if only i had a little more space in the yard, i'd be working on one of these this weekend:) i'm so into that clean white look as well. that dream went out the window when we got two large dogs that love to run in the mud! Amazing! I love that window too. so beautiful. i could happily live here. i just gasped out loud. amazing! love your blog...bookmark...check! It’s Lovely! Everything in this home is great. Loving it.